Newcomers often find it easy to make new friends when they start out with a common interest. BBNC activities and events offer many such opportunities on an ongoing basis. Our monthly newsletter gives specific details about the planned events for each Activity group in the upcoming month. Once you become a member, you will have access to our member only pages and to the monthly calendar with all of the specific dates. Some activity groups gather once a month and others once a week. BBNC members choose activities and events that fit their own individual interests. Over coffee or card games, through sports, personal enrichment or community service projects, we get acquainted or catch up with old friends. We teach each other new languages, customs and cuisine. We inspire each other. More often than not, cross-cultural, lifelong friendships take root. With our regularly scheduled activities each month, chances are that you will want to try out a number of our acitivites. All are run by BBNC members who volunteer their time to share enthusiasm for an activity or some special expertise with their BBNC friends. As you scan the activities, note the ones that you might enjoy most. Whether you already have the skill or the ability or not, as a BBNC member, you are invited to join one or more of these groups and enjoy in their activities. View our activity month example to see how a typical month at the BBNC looks! 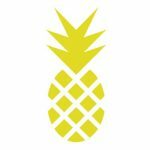 In the US and many other parts of the world, the pineapple symbolizes hospitality and welcome. 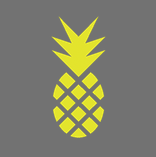 Since these characteristics epitomize the spirit of BBNC, the pineapple is an apt motif for our organization. We welcome new members at every activity and event. As the BBNC symbol, it conveys our interest in continuing to build our local, female circle of friends.